Belize City, Belize – April 18, 2012 – Earlier this month, Belize was named one of the 'top snorkeling destinations in the world' by 'The National', one of the few English newspapers in the Arab Emirates. 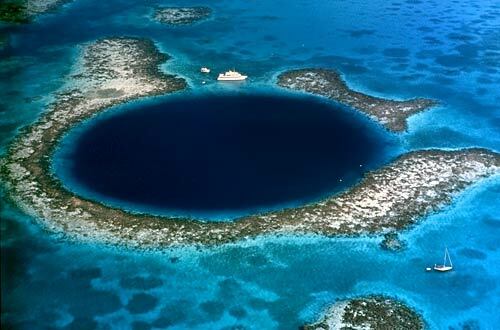 And now, just weeks after receiving that distinguished title, an article published on CNN International has declared Belize to be among the top 10 dive sites in the world. Since the beginning of this year, Belize has received titles including '2nd best snorkeling location in the world', 'trip advisor's best hotel in the world’ ranking for The Phoenix Resort, and 'top 7th, 8th and 9th beaches in Central America.' According to Yanick Dalhouse, Director of Marketing and Industry Relations at the BTB, "Outstanding reviews like these communicate to travelers just how amazing Belize is and what a world class vacation should include." For more information on 'The Great Blue Hole' and other magnificent wonders in Belize, visit www.travelbelize.org. The Belize Tourism Board (BTB) is a statutory body within the Belize Ministry of Tourism, and it is governed by a Board of Directors appointed by the Minister of Tourism. The BTB works in conjunction with members of the private sector - including the Belize Hotel Association, Belize Tourism Industry Association and Belize National Tour Operators Association – and is dedicated to building tourism in the most economically and environmentally sustainable manner. As a part of its responsibilities, the BTB promotes Belize as a premier tourism destination to both in-country and international consumers. Among its outreach to the international travel market, the BTB markets the country’s unique attractions to travellers, members of the travel trade industry and media outlets in key markets.